Fun Hometown Park Hopper Pass Idea for the Kiddos! 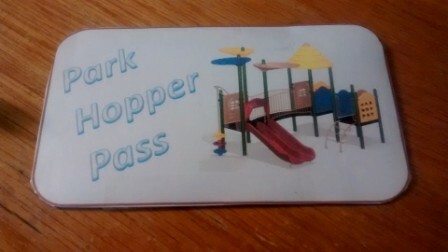 My kids haven’t ever been to Disneyland or Disney World, but they have heard of park hopper passes from a couple of their friends. Since we aren’t planning a trip to the big parks anytime soon I wanted to do something for a fun “end of fall” local activity with my kiddos. So I made up my own Park Hopper Pass for our local parks! We have a perfect temperature of 64 degrees on the forecast for Saturday and we are going to have a great day! 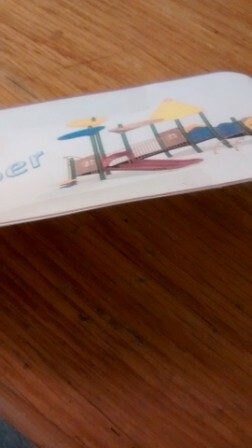 I made this generic Park Hopper Pass so I could re-print it for as many children as I want, as often as I want. If you want to make your own Park Hopper Pass, you can just click the picture at the end of this post and print it out. 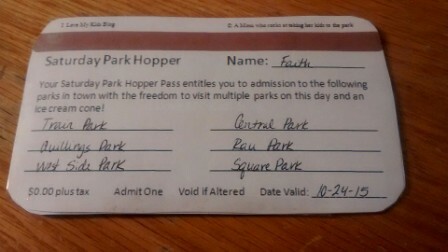 Then to personalize this park hopper pass, you just fill in the blanks! 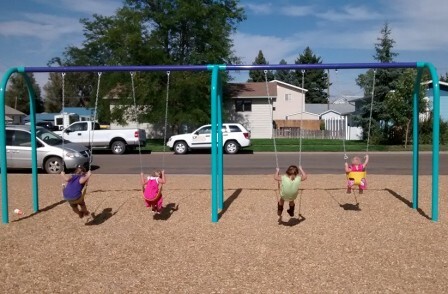 We have so many great parks in our town and my kids ask to go to them all the time! I showed them this pass tonight and my 7 year old said she couldn’t wait for Saturday! Once you have personalized your pass, you can cut it apart and I just used scotch tape to tape it together all the way around. Viola! It’s ready to use! The kiddos can make a mark after they’ve gone to each park. After we’ve hit up 3 parks, we will head for a quick break and get an ice cream cone at our favorite ice cream shop! Gotta love a snack break! We may even pack a lunch. I plan to spend about 15 minutes at each park. Our town is pretty small so the parks are all within 4 miles of each other. 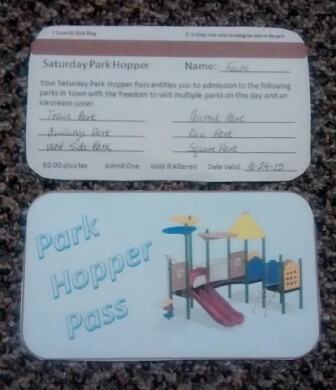 It would be very fun to let each child pick a friend to take along with us, giving them their own park hopper pass. Or meet up with a couple other families for the fun! This is also a great idea for a CHEAP birthday party! 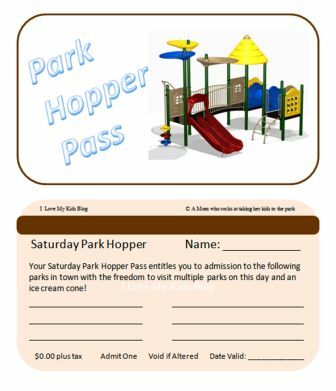 You are welcome to use my Park Hopper Pass template by clicking the picture below and printing it. 🙂 Let me know if you try out this fun family activity! This is great! I am going to list the parks in a couple of neighboring cities so we can try something different. Thanks! Your comment made my day! Have fun!